Juan Guaidó, Venezuela's opposition leader, has called on his supporters to take to the streets on Saturday in protest of nationwide power cuts. "The time has come to agitate in every state, in every community, to get water back, get electricity back, get gas back […] The light has gone out, we cannot remain as passive actors”. 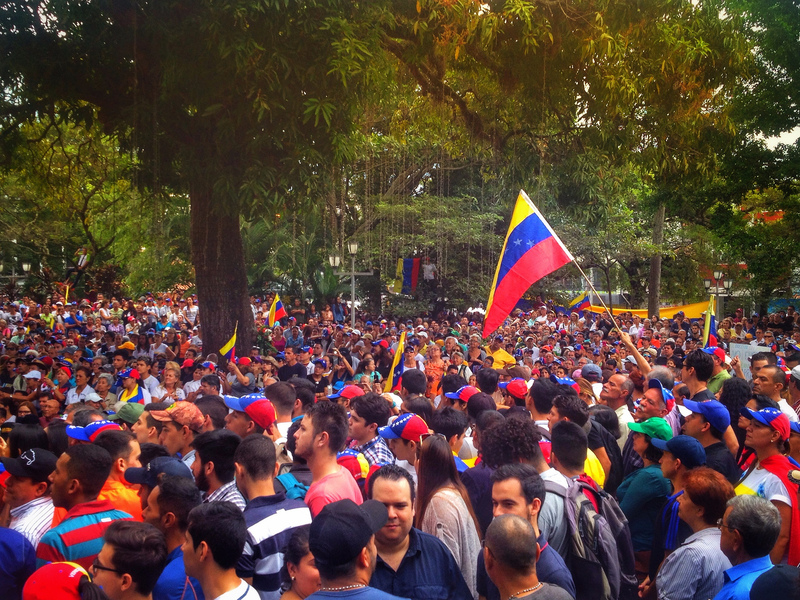 Guaidó has further called for a final push via mass mobilisation on the streets of Caracas to force Nicholas Maduro to step down. There is no official date for this event but it has been dubbed “Operation Freedom”. Power cuts began on Monday in the city of Caracas where it temporarily returned for four hours before again cutting off. The nationwide blackout is affecting hospitals, public transport, water and vital services. On Tuesday, the power returned to approximately half of the country but went out again Wednesday morning. The blackout has sparked incidents of looting across Venezuela. Delcy Rodríguez, the Vice President, blamed the crisis on sabotage by the “fascist right” and its “imperial masters” in Washington. US led sanctions on the country have devastated its economy. The US has not ruled out military intervention in Venezuela despite vocal opposition from both Brazilian President Bolsonaro and Russian officials. On Wednesday US President Donald Trump told Russia to leave the area after air force planes landed outside Caracas on Saturday. Russia has long been an ally to Venezuela, offering the country billions of dollars in support of its military and oil industry. The UN has called upon both Guaidó and Maduro to end the political conflict in supporting of allowing aid into the country. Neither side was blamed in a confidential report but the UN stressed that lack of aid was making a dire situation worse. The country was plunged into crisis after opposition politician Juan Guaidó declared himself as the interim president on January 23. US President, Donald Trump recognised Guaidó as the country’s leader shortly after he took an oath before his supporters, alongside other Latin American countries and 20 European countries. Read more the BBC here and Reuters here.